NEW YORK, NY (June 12, 2014) – On Friday, July 4th, The Charlie Daniels Band will help celebrate Independence Day as his newly recorded performance of “My Home,” written by the Emmy Award winning songwriting team of Doug Katsaros and William Schermerhorn, will be synced to dazzling pyrotechnics as the 38th Annual Macy’s 4th of July Fireworks® ignite the sky over New York City – Live from the Brooklyn Bridge. Set to deliver the nation’s largest display of patriotic firepower and ready to dazzle more than 3 million spectators and millions more on television nationwide, Macy’s Fireworks this year will be launched from barges positioned on the lower East River and from the world-famous Brooklyn Bridge. 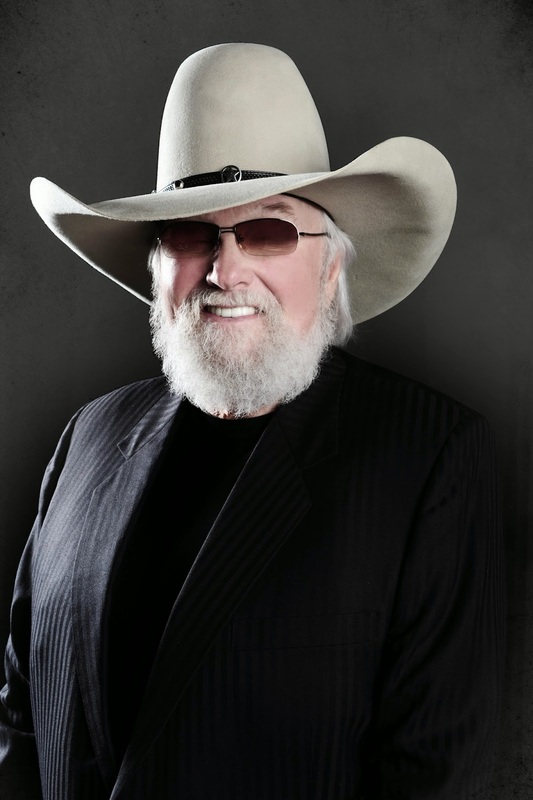 "It's an honor to be a part of celebrating the birthday of the greatest nation on earth and an honor to be chosen to record this patriotic song that is going to be choreographed with one of the most spectacular fireworks displays that our country will see this year," says Charlie Daniels. "As the song was being written for the fireworks score, we knew it had to be performed by an iconic American band that can get this country up on its feet!" says William Schermerhorn, creative director for Macy's 4th of July Fireworks. "It was thrilling to have Charlie and his band take this song and make it their own. And nothing could add to our pyrotechnic celebration like the sound of Charlie Daniels' fiddle!" Against the iconic New York City skyline, the 38th annual Macy’s 4th of July Fireworks will fire more than 40,000 pyrotechnic shells and effects during an expertly synchronized display. Pyro Spectaculars by Souza is once again at the helm of the pyrotechnics set to launch from the Brooklyn Bridge and from three barges positioned on the lower East River between the Manhattan and Brooklyn Bridges heading south towards the historic South Street Seaport district and the shores of Brooklyn’s famed piers and promenade. Beginning with the score, the musical blueprint to the high-flying explosions will be a patriotic wonder. The 25-minute display will be choreographed to dynamic new arrangements of both classic patriotic favorites and new musical selections. From “God Bless America” to “This Land Is Your Land,” the score will feature the talents of the all-female musicians of The DIVA Jazz Orchestra; with vocal artistry featuring Tony Award® winner Billy Porter helming the new song “It’s a Patriotic Kind of Day;” the world-famous Charlie Daniels Band on the patriotic “My Home;” and the acclaimed vocal ensemble Judith Clurman’s Essential Voices USA putting their special touch on “America the Beautiful.” In honor of the 200th Anniversary of “The Star Spangled Banner,” Broadway superstar and Tony Award winner Idina Menzel will inspire the entire nation with her heartfelt rendition of the National Anthem. Since 1976, Macy’s Fireworks have grown in scale and artistry as they burst to life over many of New York City’s waterways and neighborhoods. Incorporating landmarks and milestones is a Macy’s Fireworks signature. Macy’s last showcased the Brooklyn Bridge in its Fireworks spectacle in 1995. This year’s more intricate and advanced creative presentation on the Bridge will accentuate a jam packed show of stunning effects. From a rapid fire comet chase along the roadways and towers to a stunning rainbow cascade effect, the highlighted moments of the Brooklyn Bridge’s integration into the show will enhance the dynamic multi-angle, multi-dimensional fireworks presentation along the lower East River. With 5,000 custom-made effects among others emanating from the Bridge at various points during the display, the presentation ranges from special accent moments to full-scale Bridge solos, creating a spectacle fit for the record books. The 38th annual display which begins at approximately 9:20 PM, will also debut new shells and effects including a red serpent star fish, puffy snowballs with red and blue centers, and amber colored glitter shells. Revelers lining viewing locations are encouraged to enjoy the full experience by tuning in to radio station 1010 WINS-AM to hear the musical score to which the show is choreographed. Macy’s explosive spectacle is made possible in part by Cracker Jack®, FYI™ Network, The Howard Hughes Corporation’s South Street Seaport, Kool-Aid®, Planters®, South Street Seaport Museum, and is presented in partnership with the City of New York. Fans joining the revelry in person along viewing points on the water will be in for extra special treats as the fun begins with two rumbling flyovers from United States Navy F-18 jets at approximately 7:30 PM and a patriotic flight from the NYPD Helicopter unit at approximately 7:45 PM. In addition, the FDNY will return with their famed 4th of July water show beginning at 8:00 PM. Public viewing locations and dedicated entry points will be set up along various streets in the South Street Seaport historic district for FDR Drive viewing in lower Manhattan and from various streets in Brooklyn for access to Brooklyn Bridge Park Piers 1-6, as well as the Brooklyn Heights Promenade. Spectators from coast-to-coast will also have a front row view of the pyro in the sky by tuning to NBC’s national broadcast of “Macy’s 4th of July Fireworks Spectacular” at 8:00 PM ET (check local listings). In addition to the pyrotechnics, the 4th of July’s most popular entertainment special will be hosted by Nick Cannon and feature performances from Ariana Grande, Hunter Hayes, Miranda Lambert, Lionel Ritchie, and more of the nation’s hottest musical acts.